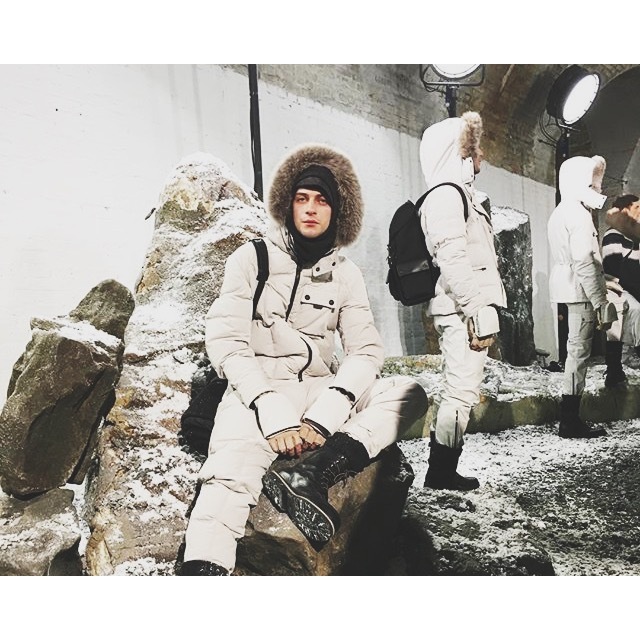 Synonymous with outerwear in the motorsport, aviation and the exploration worlds, for Autumn Winter 2016 Belstaff’s collection was entitled “Heading North” and it was very much about exploring icy glaciers in Arctic conditions. The main bulk of the collection featured arctic duck-down Parkas with fur trimmed hoods featured in a neutral palette, while the rest of the colour palette was rather monochromatic with the exception of a reimagined contemporary anthracite and black camouflage print, used on several styles. This entry was posted in LFW, Trend Reports and tagged aw16, belstaff, british fashion council, LCM, London collections men. Bookmark the permalink.